Those following mainstream media reports regarding Neil Young's fundraising tour have seen most of the focus on the celebrity exchange between Young and Prime Minister Harper, but very little on what the fundraiser is actually for. Neil Young's press conferences featured very knowledgeable speakers who explained it, but I've found little or no mention of them in any of the news reports about the tour. 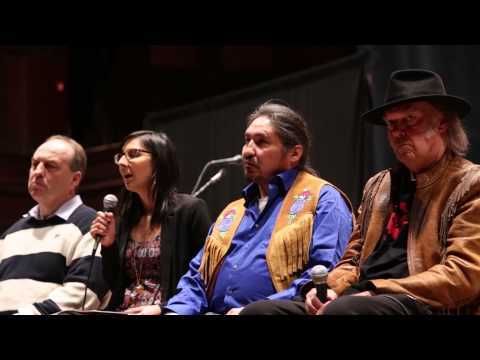 This is Eriel Deranger speaking at Neil Young' press conference on January 12, 2014 at Massey Hall.